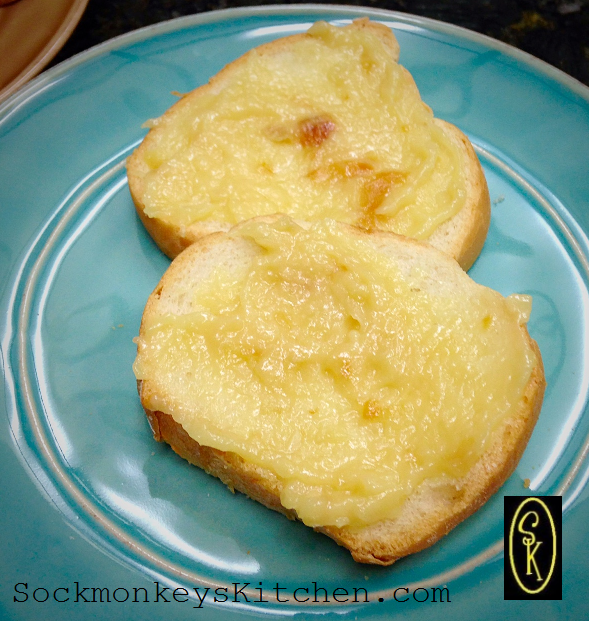 Meet your new favorite bread topping! I’m always fascinated by the change in flavor you get when food is roasted. The flavor always mellows, the natural sweetness comes out, and the tenderness is always just right. Today I’m going to be highlighting something you probably love, and you quite possibly may have never made. It’s such an ordinary ingredient, but for some reason, the simple act of roasting garlic heads doesn’t seem to be all that common. So are you ready to try something new? Be prepared to be amazed! 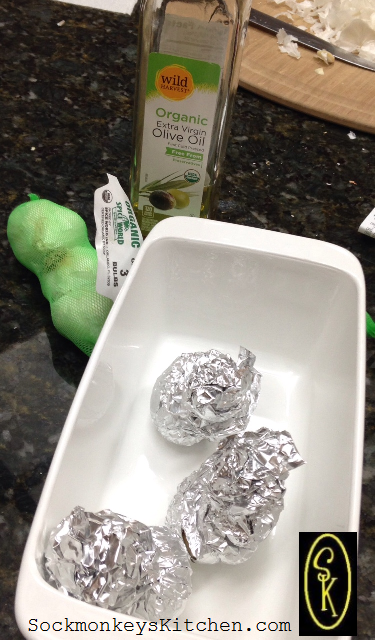 You will only need five things: garlic heads, olive oil, butter, foil, and most importantly, time. 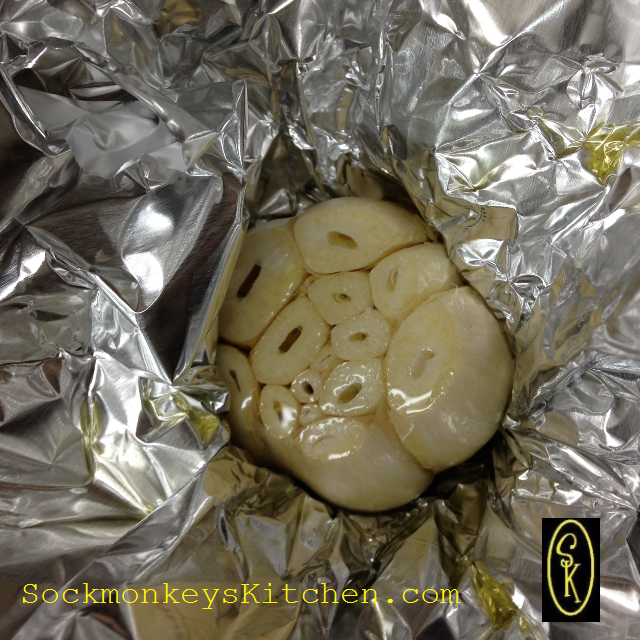 Since it takes just as long to roast one garlic head as it does six, choose how many you will want. I’ve made three which is about the right amount for three people. Now before you think I’m crazy wanting to eat all that garlic, do keep in mind that when you roast it, the flavor becomes smooth and mellow. 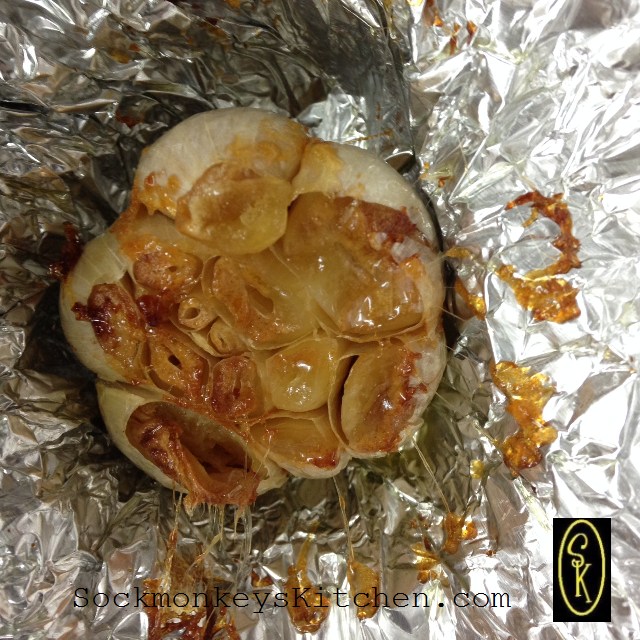 First, cut a few pieces of foil large enough to wrap around the garlic head, with a little extra room to spare. 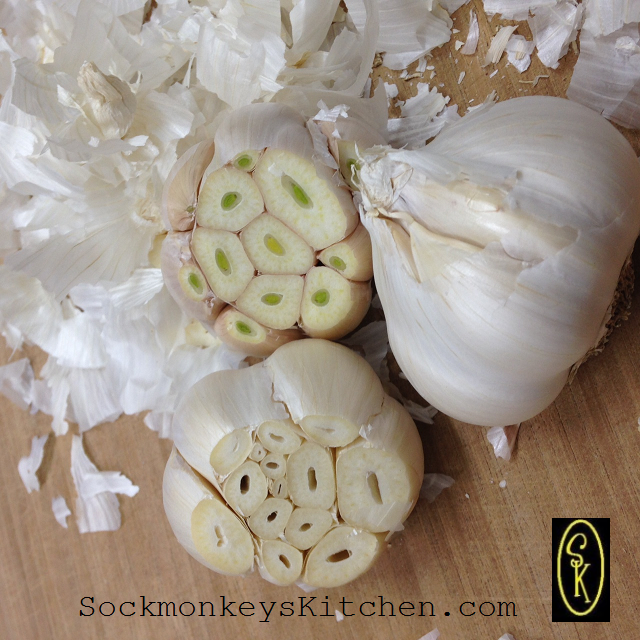 Gently remove the outer skin of the garlic head without disturbing the individual cloves. It’s easy if you slightly pull down on the skin from the top to the bottom, and twist. Next, using a sharp knife, cut off just the pointed tips. Make sure not to overlook any smaller cloves that may be on the outer ring. 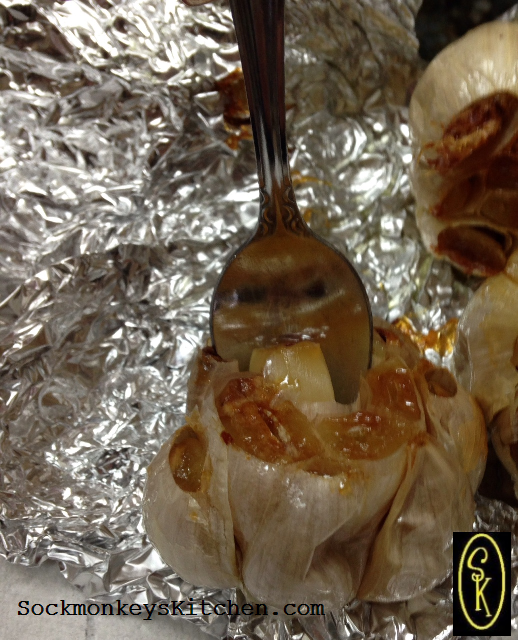 Set the garlic head in the middle of the foil. Place your left hand underneath the foil, and make a cup. With your right hand, securely hold the garlic head in place. Mold the foil to make a little nest like I have shown in the picture. Drizzle 2 teaspoons of olive oil over the cut tops. Close the foil “nest” and twist the top tightly. Set it in a baking pan, and continue with remaining heads. Place baking pan in oven and wait patiently for an hour. Note: your house will smell like an Italian restaurant! Unwrap all three heads to let them begin to cool. Be very very careful, as these will be incredibly hot! 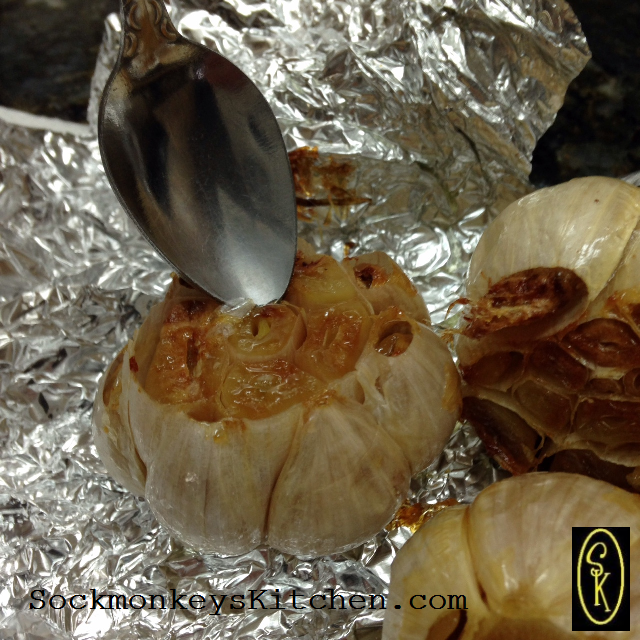 Insert spoon between the side of one clove and its outer shell. 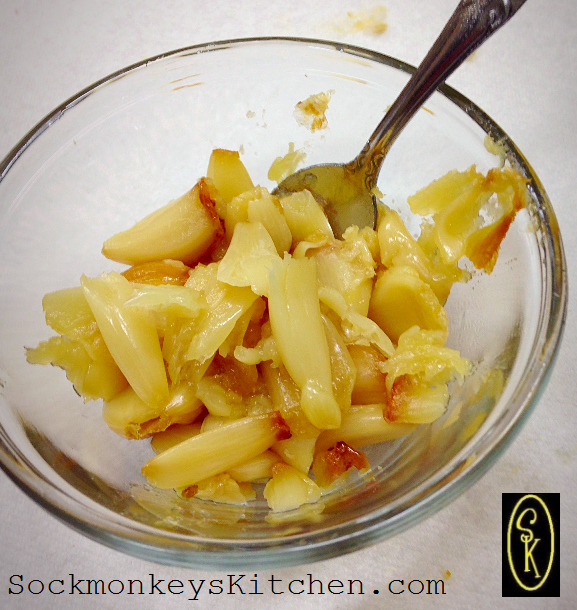 Gently pull up and the garlic clove should come right out into your spoon. (See picture) I love how compliant these little guys are! 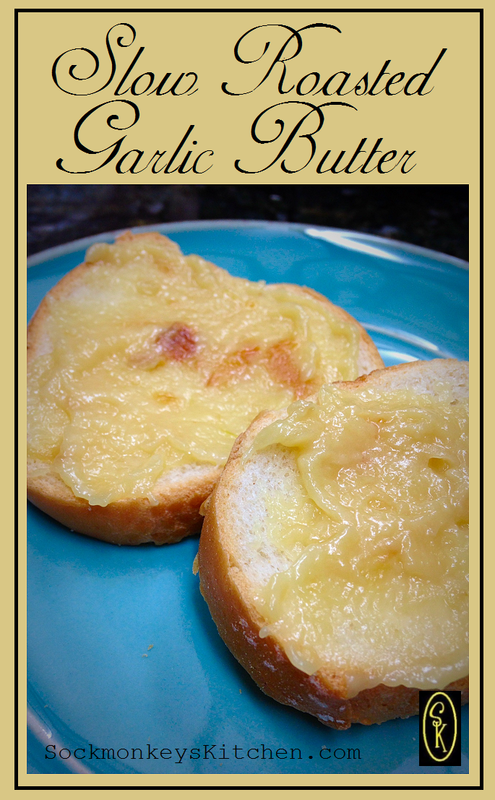 Once you have gotten all of the roasted garlic into a bowl, add 3 tablespoons of softened butter. Stir well. 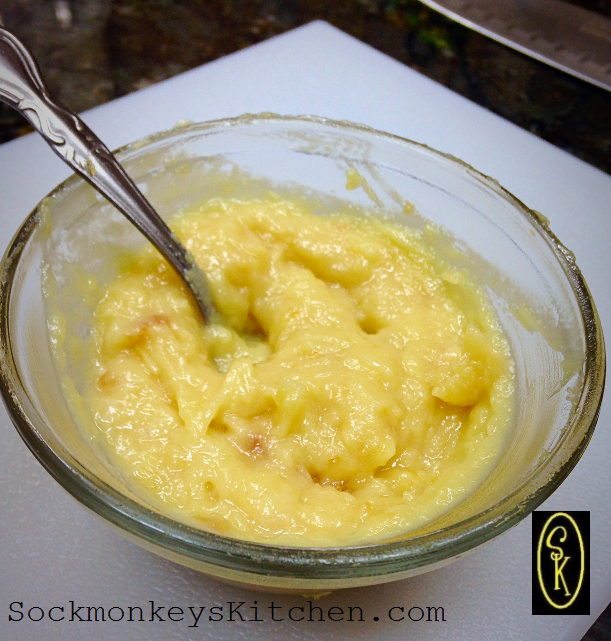 Use this to top bread or toast…or whatever you want to deliciously enhance. I can pretty much guarantee that this will be your very favorite new treat! PS: When I make this and have a little bit left over, I save it to use for whatever sauce or soup I will be making the following day. Anything after this logo is nothing but advertising! 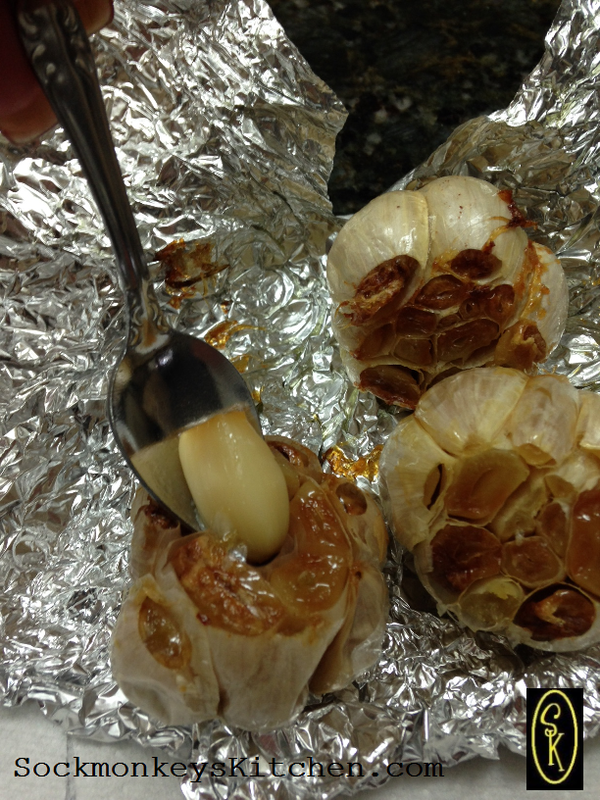 You know, I never think to roast garlic, even though we love it!! I need to do it more often – thanks for the reminder!